One thing I am confident in is my knowledge of how to stuff my face. Especially brunch. Love brunch. As I sitting out a cold and dull winter whilst working in Tokyo till December, I give myself a treat every weekend. The variety award goes to French Kitchen in the Grand Hyatt, Roppongi. 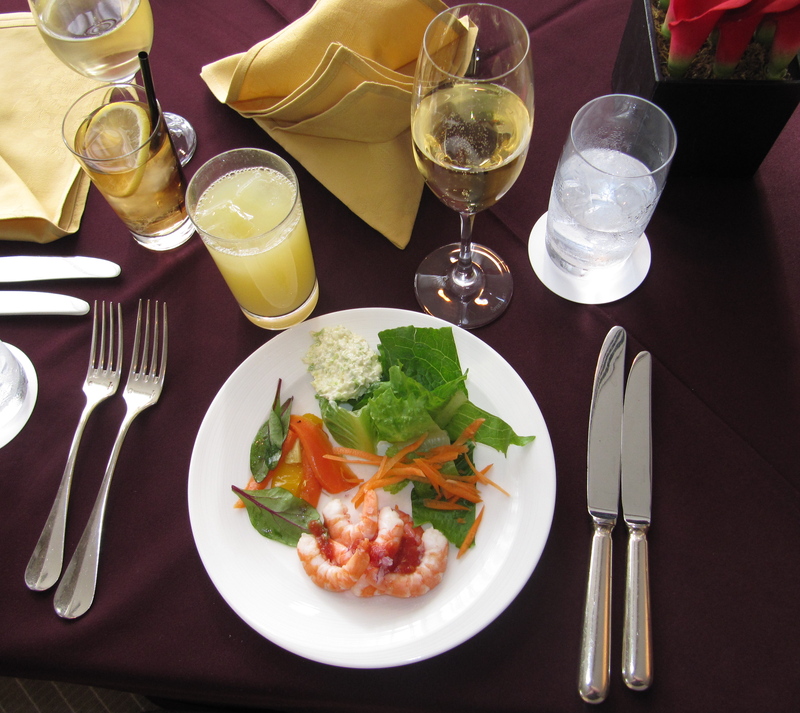 The huge buffet includes and array of salad, amuse bouche, desserts, bread and pastries, pasta, omelettes, roast meat and vegetables… and champagne! 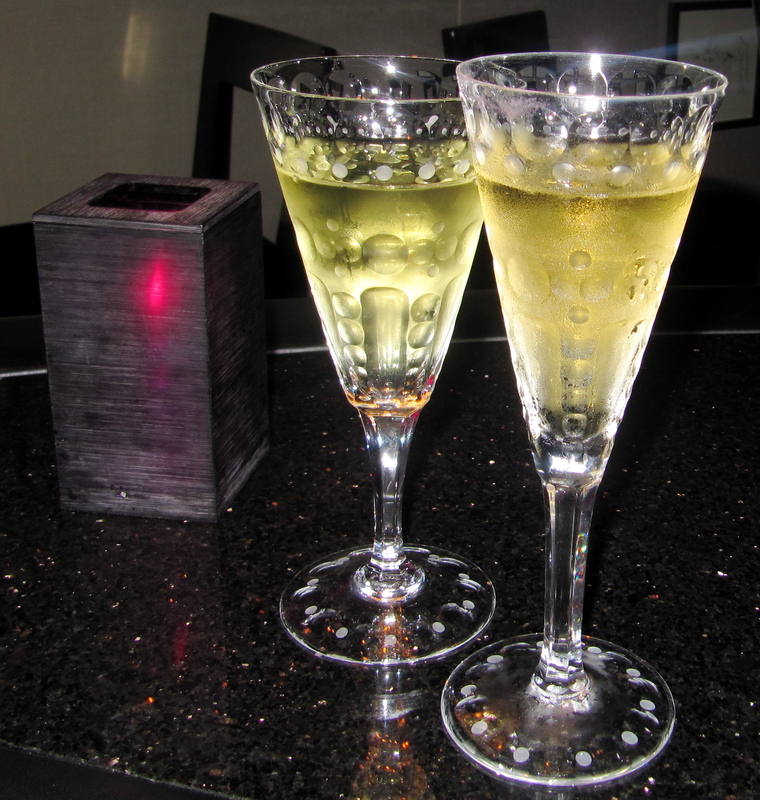 Depending on what you drink the bill will be ¥6000 -10000 p/person but it’s great for a treat. Child friendly venue as well. I also recomment the spread at Roti – it’s not a buffet, nor is it fancy or prententious but they have a substantial international menu and everything is done properly here.I recommend the organic yoghurt smoothies, the felafel and hummus platter, the mezze and their blueberry pancakes. I love the truffle oil fries and I checked out J’s breakfast crabcakes and our neighbour’s mixed grill – they look impressive. It’s about ¥3000 for an enormous, amazing brunch. Sometimes I go to Gonpachi, which is very pretty but it’s not a “brunch” venue exactly – Yummy and cheap Japanese lunches, such as grilled tuna steaks, salad, pickles and rice or their famous soba noodles – are available 11.30am -2pm on weekends and they have some blindingly good Japanese fusion desserts and nice tea, so I get the lunch and a dessert. 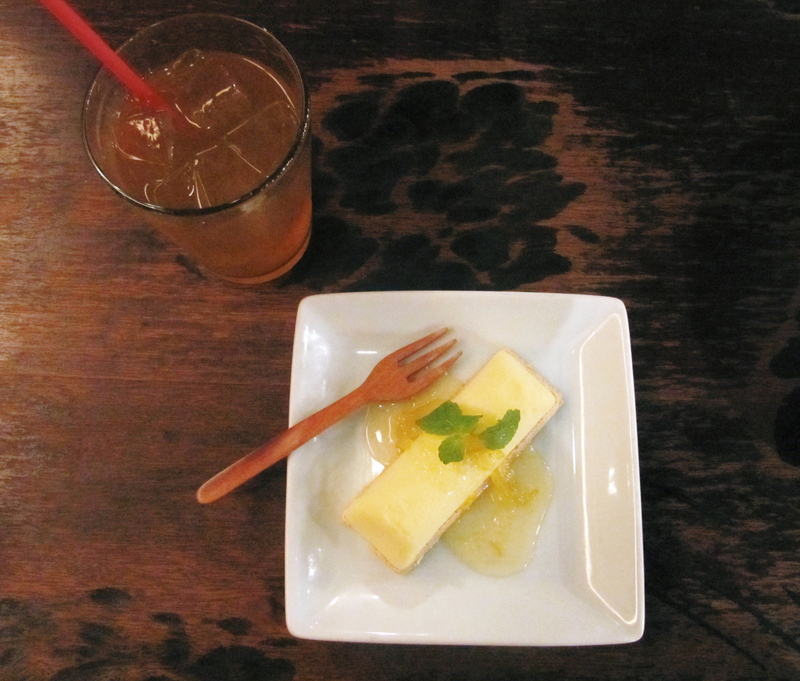 Gonpachi’s yuzu cheesecake and jasmine tea… who need the rest of the meal, anyway? Now for my very favourite: Lauderdale in Roppongi Hills.This is a fairly new place from those clever people at Citabria and… it’s just divine! The meal that I usually get there on the weekend consists of fresh felafel, salad, the most amazing omelette ever, fantastic drinks and, although half of the desserts are always sold out, what they have available is always outstanding. I love their banana pepper souffle, which take 30 minutes to prepare so order in advance. N is crazy about their rosemary chicken and L goes there for the “build-your-own” salad. The cheeseburgers seem to be very ordinary, which is the only thing that lets them down. I do wish they had more desserts, too. It’s the same price as Roti but I always get a few drinks and dessert so I spend more. Anyway, love your work, Lauderdale! Thank you for being so consistant. If you or any of your friends/friends of friends/collegues/neighbours are members of Tokyo American Club, get yourself an invitation to Sunday brunch buffet and slip on down to Takanawa from 11.30 -3! This is my second favourite place and for 6000 you can have your fill of Louis Roederer and… well, anything you could ever want to eat. There really is everything! I usually hit the sushi bar, the waffles and the seafood and pass on the curry and Chinese and roast beef and head for the omelettes. I always start with a salad though and TAC usually do a good vegetable and salad spread…. Now we come to the shabbier end of Tokyo’s brunch spectrum: Suji’s in Azabudai. In theory, it should be as good as Roti or 57 but it keeps missing the mark.Sorry, Suji’s – I gave you 3 chances and you failed each time. There was the very lax burrito effort (soggy, processed cheese, yucky) then a mediocre-to-bad Egg’s Benedict (“no ham please” – so it comes back 2 minutes later cold with ham grease on all over it) and yesterday: a saggy, baggy, middle-aged salad, a tasteless club sandwich and none of my favourite mineral water left! Badly done indeed! 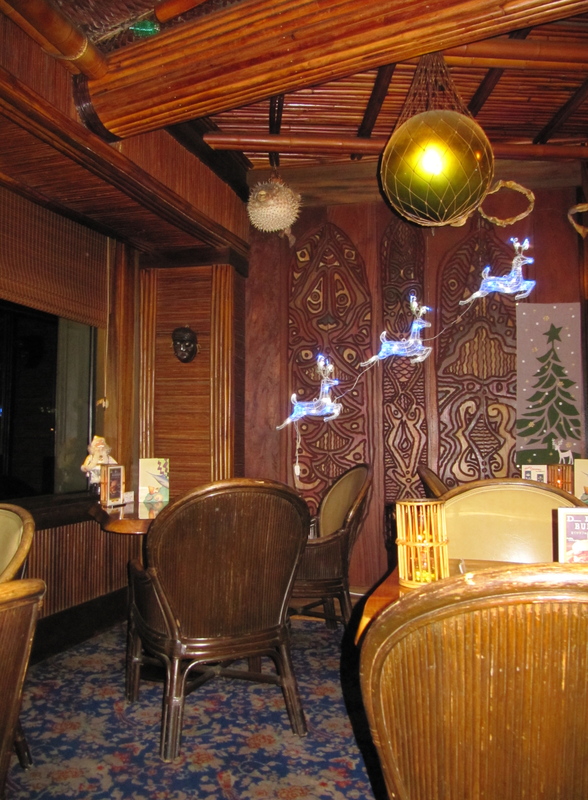 For something more exotic, head to Trader Vic’s in Akasaka’s New Otani Hotel. 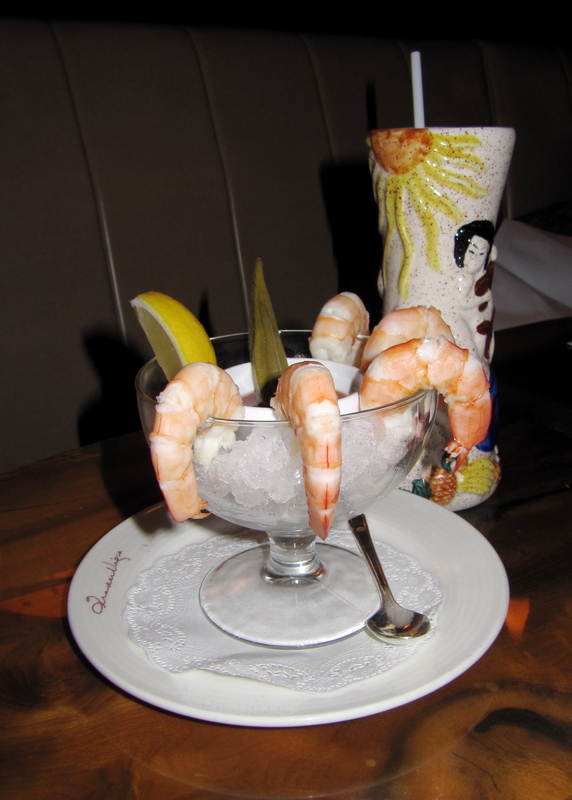 Enjoy for a buffet with drinks which has, along with all the standard breakfast staples, a carvery, Chinese and Polynesian delicacies, and seafood. The ¥6600 yen (or ¥3300 for kids) includes all the bubbly you like for about 3 hours.I love the Hawaiian and Polynesian music and the decor makes me feel as if I am not in Tokyo but on a lovely tropical island… even with the Christmas decorations! The cocktails are like nowhere else on earth but desserts are a bit of a disappointment. They always look better than they taste. Las Chicas in Aoyama is famous for it’s snotty staff and quite a good menu but it seems as if they hired people for their new Takanawa cafe who actually have manners. I am heading to the Aoyama cafe for the first time in ages this weekend so – maybe it’s changed there? 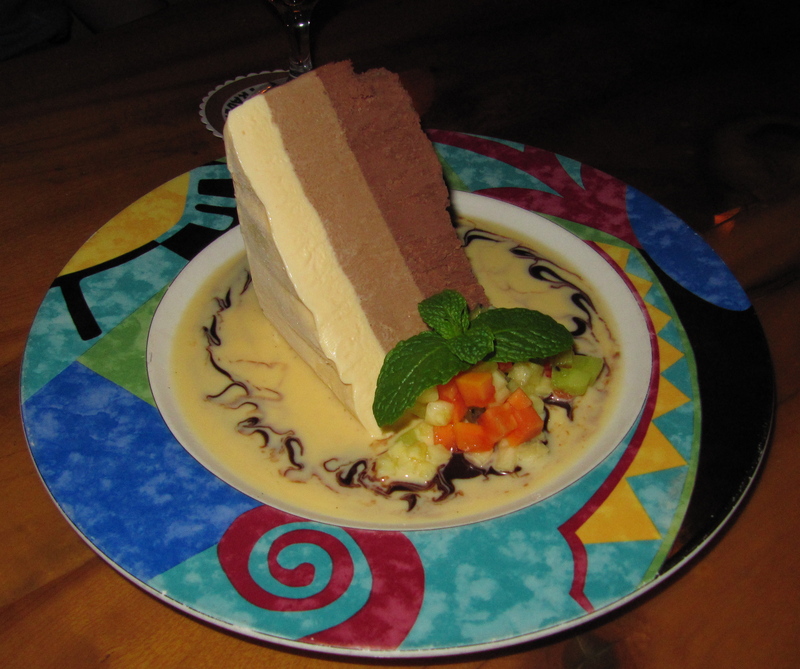 We’ll find out… anyway: great soups, fine Mexican fare and a large drinks list! They also have other international cuisine and I always find something interesting and exotic. I’ve never spent more than ¥4500 yen for a main course, dessert and a drink (or 2) which is excellent for Tokyo. 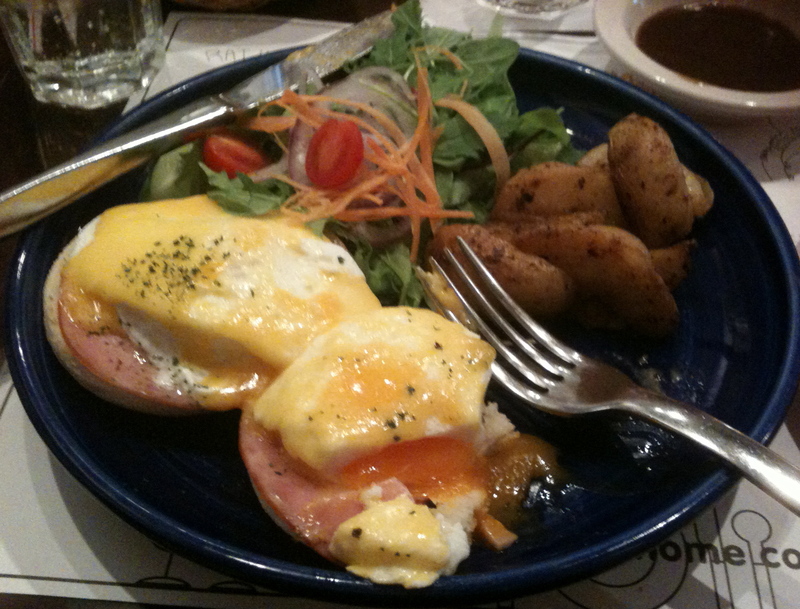 I am also keen to try Fifty-Seven in Roppongi for brunch as soon as I can – I hear it’s very good! So there you have it – we have a good selection in Tokyo. I am still waiting for them to open a Raffles Hotel, which has the best buffet breakfast/lunch/tiffin/dinner the world has ever seen.Until then, we’ll survive with these places. Remember: whilst partaking in a brunch with friends, an organic smoothie and a piece of fruit cancels out any negative effects that too much Champagne has on the human body.